The Forum Blanc, a winter conference on new practices and new content organised by CITIA, the moving image centre based in Annecy that is also responsible for the famous international animation festival, is returning to Le Grand-Bornand from 16 to 18 January 2018. At this ninth edition, content hyperpersonalisation, promotion strategies and innovative formats, mixed reality, innovation funding, brand content and many other fascinating subjects will plunge participants into the heart of the fast-changing digital world and its ecosystem. 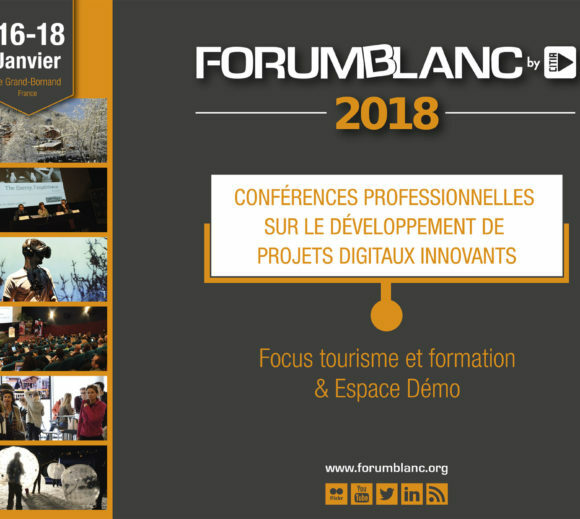 As well as the Demo Space, attendees will be able to meet the sector’s most visible companies and experts, including Airbnb, ARTE, the BPI, Cinétévé and France’s national monuments centre.